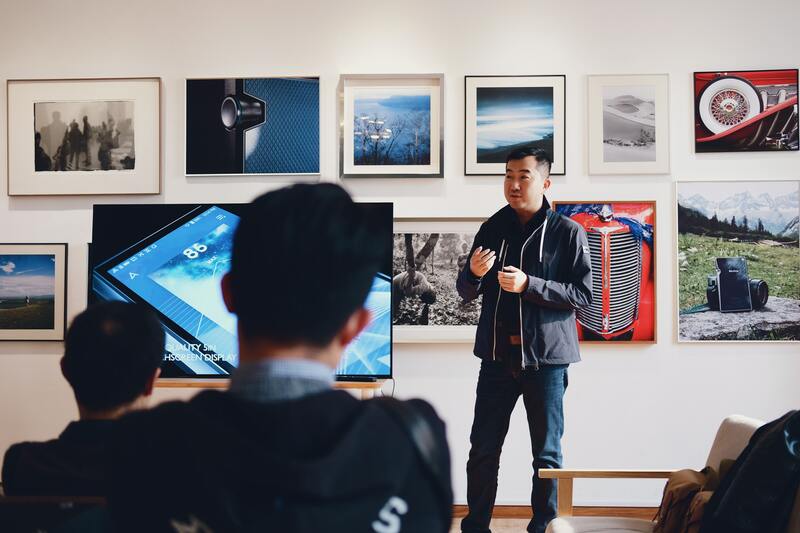 Tech Promo - Promoter Insider | SunJoy Group, Inc.
Retail products for promotional campaigns is a growing trend and when it comes to tech, Apple says it all! 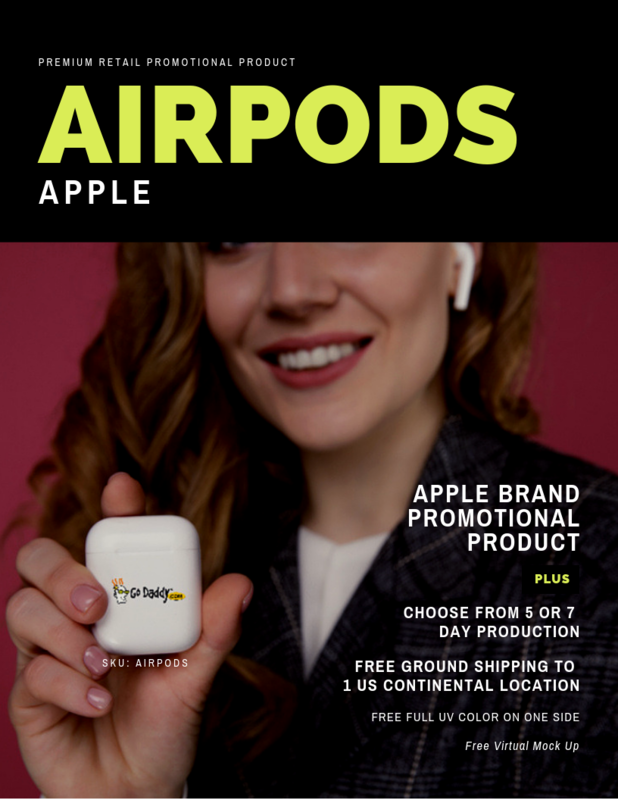 For your most exclusive campaigns and VIP's our Apple Airpods will be the ultimate luxury premium gift item to remember your brand by. Get this delivered QUICKSHIP within 7 business days with full color imprint! 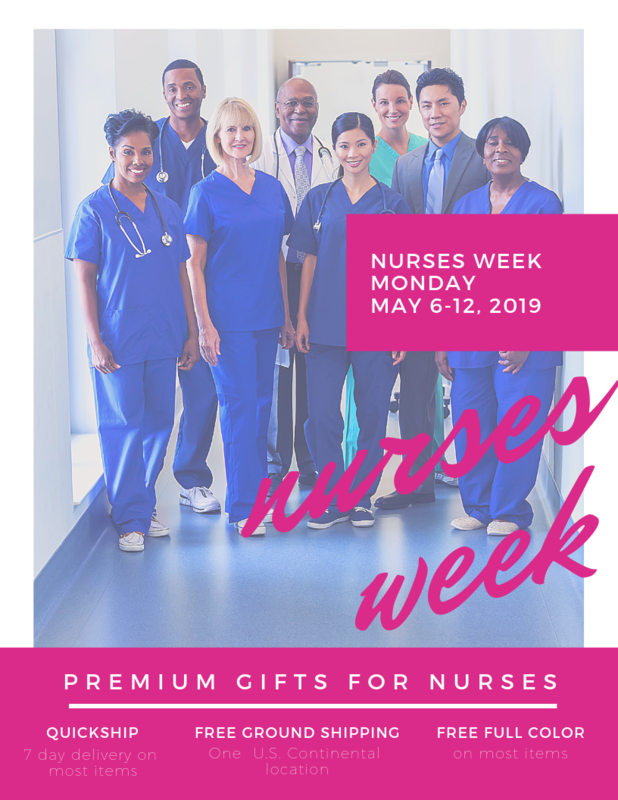 Post by Johanna Marie Mirpuri of SunJoy Group, Inc.
Nurses Week is on May 6-12, 2019 and it's time to show some of the most valuable people in your organization just how much they are appreciated and loved. Nurses have become some of the most tech savvy professionals with the healthcare system going tech. From digital charts, hands-free communication devices, patient remote monitoring and more -- it's safe to say that nursing professionals know their way around tech! The world of promotional products is changing so rapidly and distributors need to constantly be on the look out. 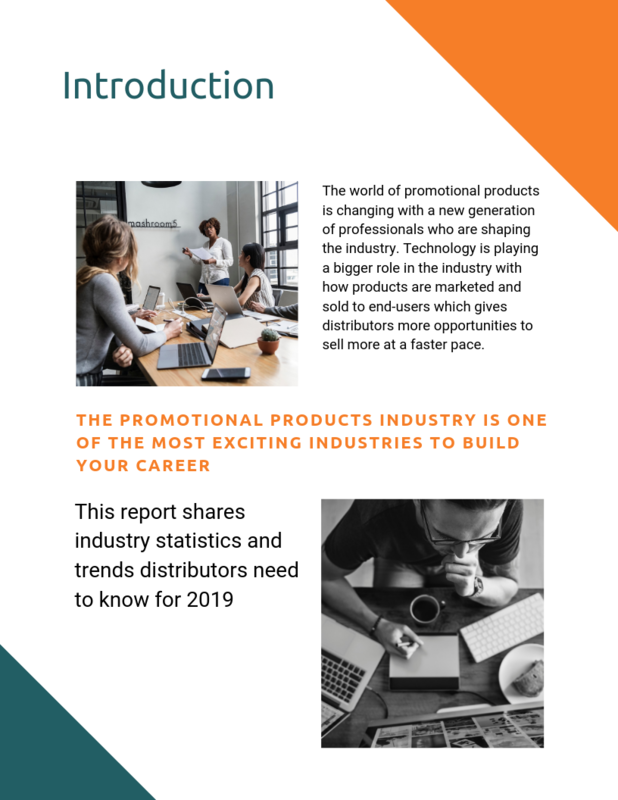 Our guide, "12 Promotional Products Trends Distributors Need To Know" shares industry insights and trends that you and your team need to know. Click to download your guide today! The food and beverage industry spent $191.2 Billion in advertising in 2016, according to Statista. With that much ad spending, tech promotional products have a great opportunity to support brands' advertising and marketing campaigns. The more useful promotional products are, the more consumers will integrate them into their daily lives. How often do you listen to music at home or the office? How much do you use and need cell phone chargers for yourself and kids when you're out and about? 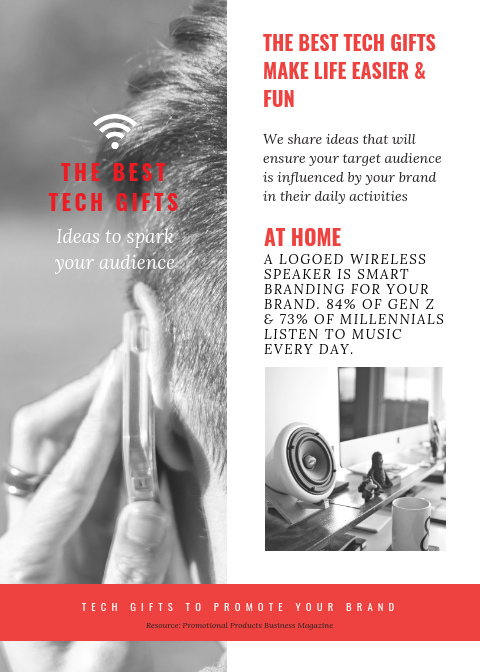 The power of promotional products like bluetooth speakers, power banks and USB flash drives can absolutely drive your brand to have wider impressions the more useful they become. Food and beverage companies, the key is to remind consumers of your brand and products outside of the kitchen and show them that your products are a part of their every day life. Heck, we have to eat everyday afterall! And having your brand in other parts of their lives outside of the kitchen is a great reminder of how your products helps them with their meals and food experiences. 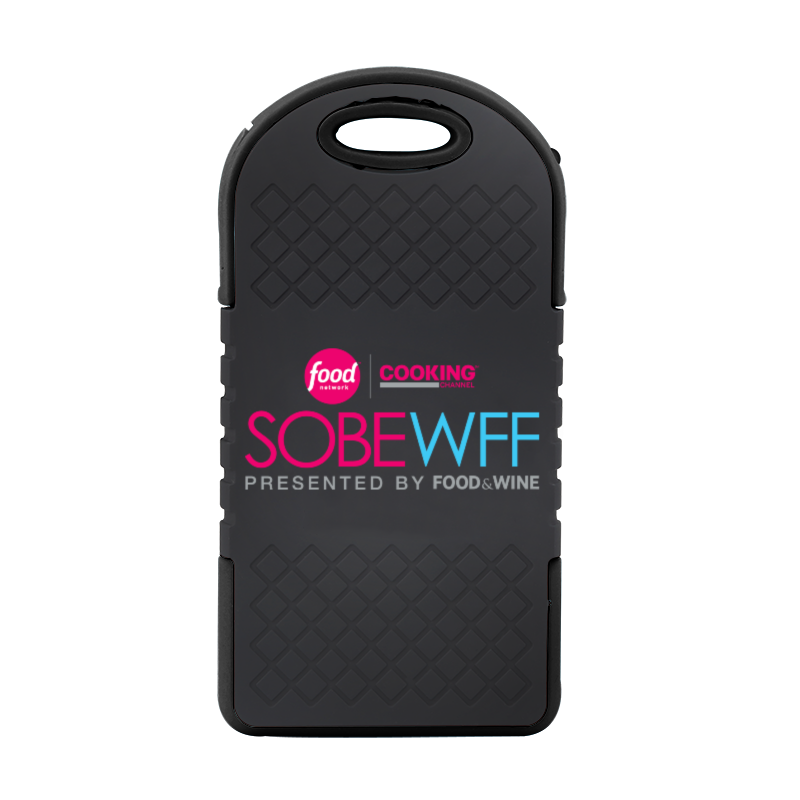 Take a look at some great ideas for promotional products for food and beverage brands. 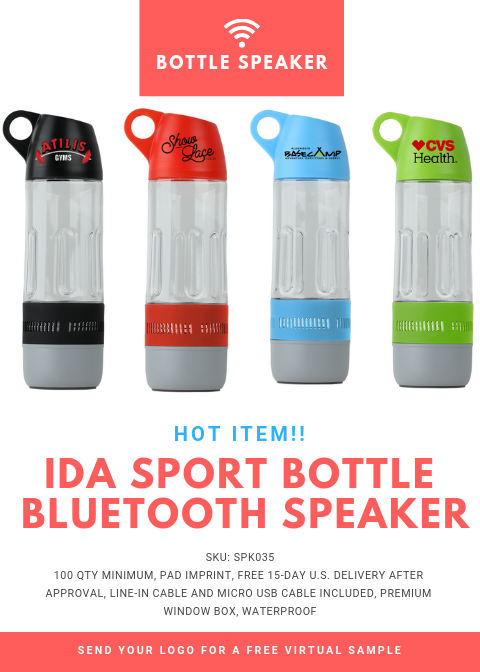 The Ida Sport Bottle Bluetooth Speaker is a fresh tech promo item that will make your brand stand out with dual purpose as a water bottle and bluetooth speaker in one! This is the perfect promotional product for spring and summer months where many consumers spend their time outdoors and will put this product to much use. Imagine other consumer's reaction when they see and hear your water bottle bluetooth speaker in action! 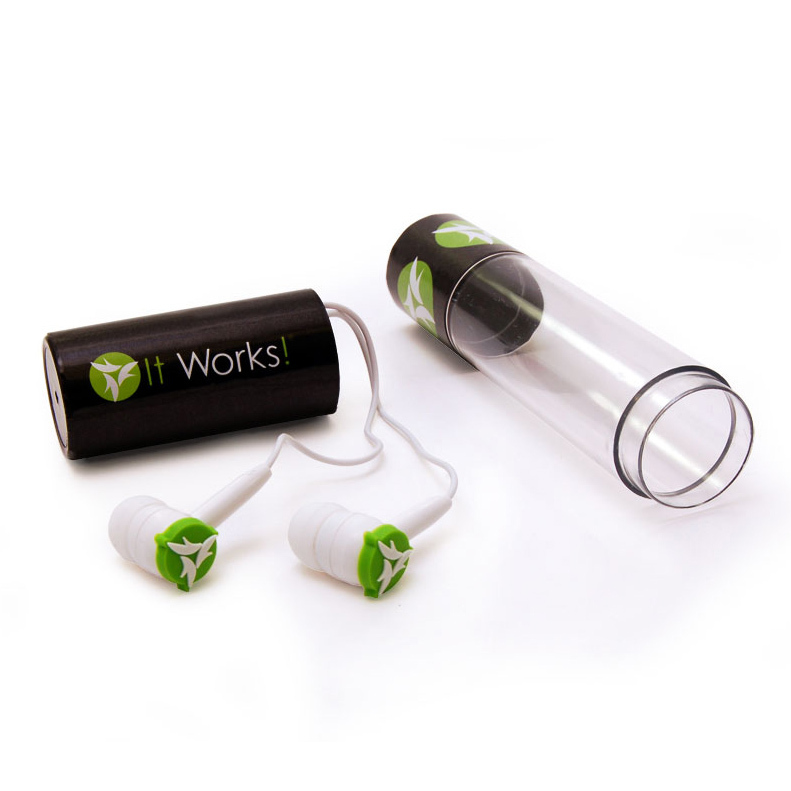 They will be talking and asking about this product which creates a buzz around your brand. 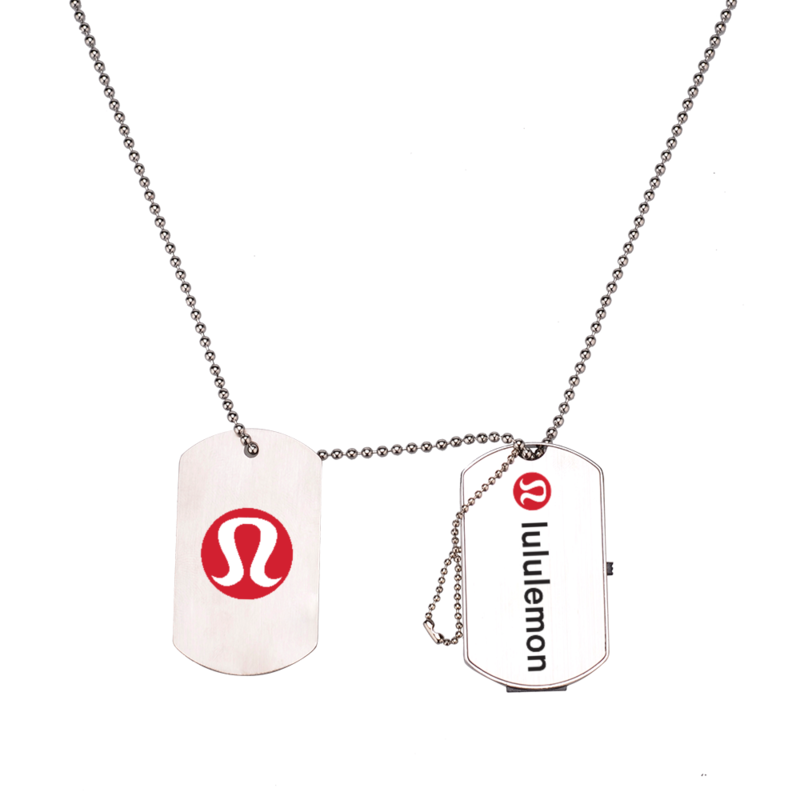 Take advantage of the impressions your brand will receive with this item. Surprise consumers with this fun USB that doubles as a bottle opener that can easily be kept in a wallet! 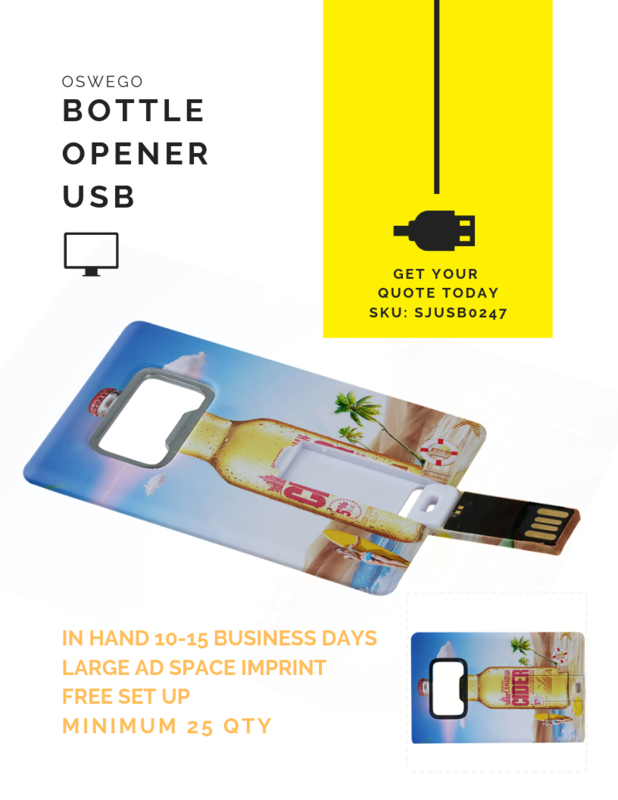 The large canvas for your imprint makes this USB promo item a great way to display your advertisement. 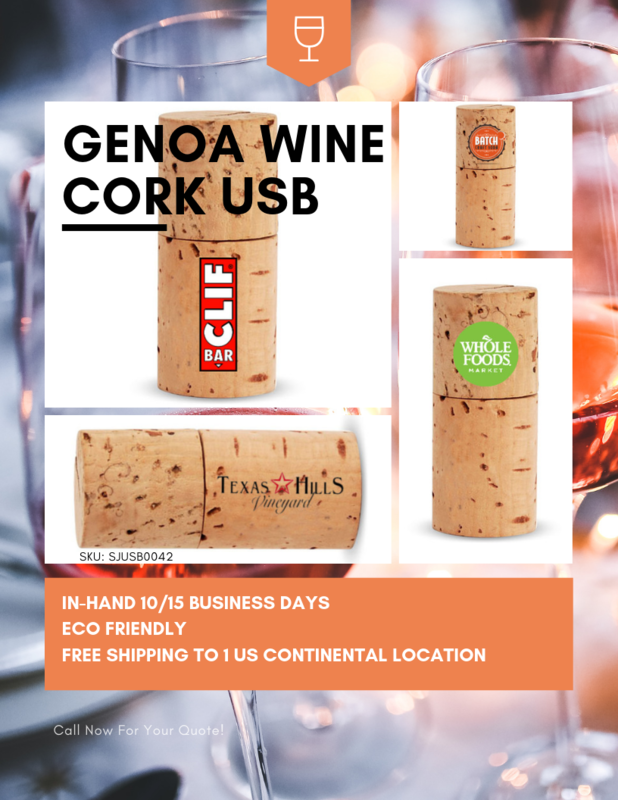 This elegant Genoa Wine Cork USB is a such a fun way to deliver your content to influencers, media and consumers alike. A truly memorable USB promotional item that has an eco-friendly, elegant touch. Practicality in promotions will most always trump fads for it's longevity to be kept and used. With tech promo products, it is even moreso as devices and any accessory that supports our devices have become a necessity in today's society. What's trending now in tech is our Dunning Solar Power Bank and we're not surprised. 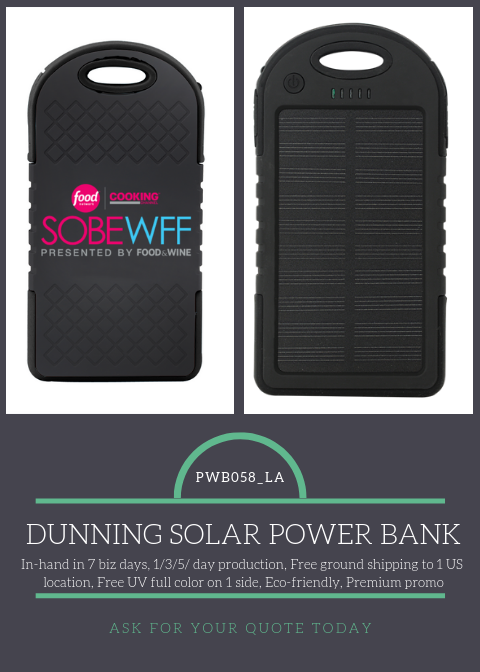 With the warmer months and the rise in eco-awareness in retail, the solar power bank is a premium promotional product that will give your brand massive exposure. With an outdoors look and feel, solar panels and durable design, consumers will be encouraged to give your brand exposure while bringing this power bank outside. Whether it's poolside, at a barbecue, laying on the beach, at a giant music festival, hiking or excersicing outdoors, any outdoor activity won't be done without the Dunning Solar Power Bank. Spring and Summer is just around the corner and it is time to start planning your outdoor promotional campaigns. Going outdoors with your branded tech promos gives your brand visibility to a vast amount of people. Leverage the warmer months when people are outside and your brand has the ability to gain millions of impressions with tech promotional products. 85% of consumers do business with the adveritiser AFTER receiving the promotional product. 77% of consumers keep useful promotional products. 89% of consumers recall the advertiser of the promotional product they've received in the last 2 years. People visit hotels for the experience. With so many to choose from, hotels are no longer just a place to sleep but a place where your hotel build's the guest's journey through your brand experience. The "devil is in the details" when it comes to creating experiences and adding eco-friendly touches can add that memorable touch guests will remember. Instead of basic speakers, add ultra lux to each hotel room with eco-friendly retro or modern cube speakers, or outfit your entire property with eco-design touches like Walnut Wireless Charger or Maple Wireless Chargers inside all rooms to pump up the high-end look and feel. 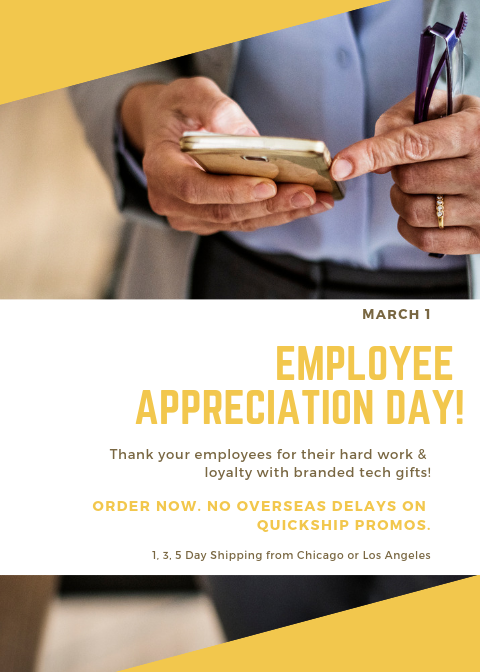 EMPLOYEE APPRECIATION DAY IS MARCH 1ST!! 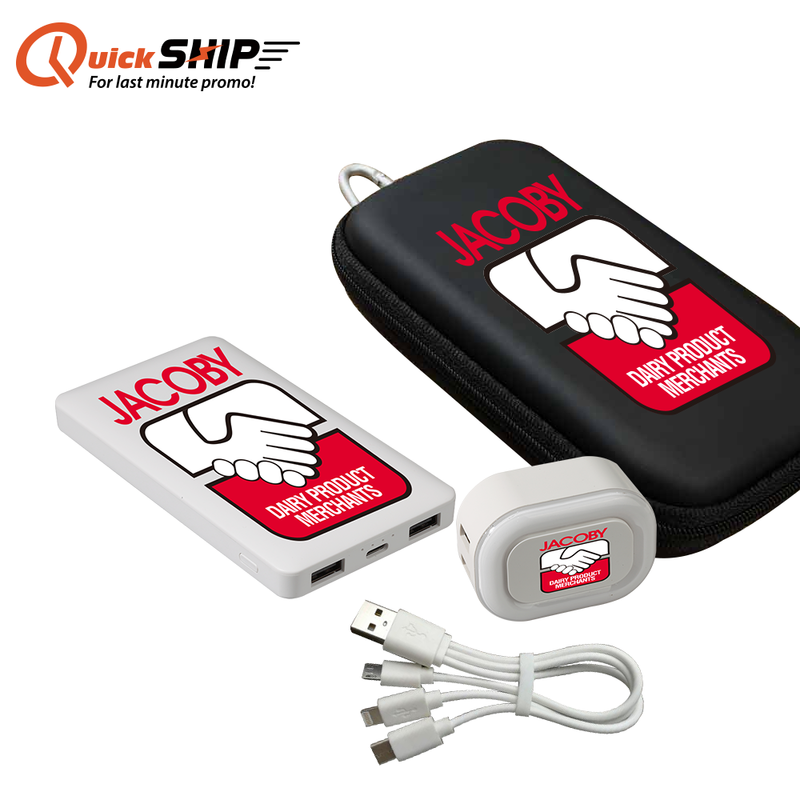 Order from our QuickShip Items and have loyalty gifts ready WITH ZERO OVERSEAS DELAYS from Chicago and Los Angeles!! "With a fixed investment of $3,250 and a new mindset toward influencer marketing, the brand reached a potential audience of 2.9 million customers ahead of the peak holiday shopping season by sending personalized gifts, such as monogrammed Christmas stockings or a present for a new baby, to 20 influential consumers in key US markets. Each parcel also featured a handwritten note and “classically British” items such as a Paddington Bear and English breakfast tea to reflect the M&S brand and values. What does this mean for branded tech promos?? 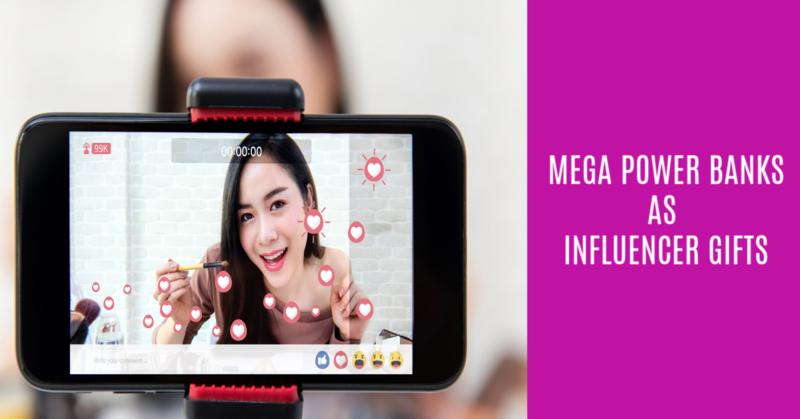 It means that your brand can gain significant traction by simply gifting influencers on social media with products that will ignite them to share about it to their followers, friends and fans. When it comes to tech, and more specifically, mega power banks for promotions -- they are the perfect companion to the active influencer or blogger who spend countless hours on their devices sharing about their experiences. Mega power banks offer large capacity to charge and recharge smart phones and tablets. With 2 ports, influencers can charge 2 devices at once. 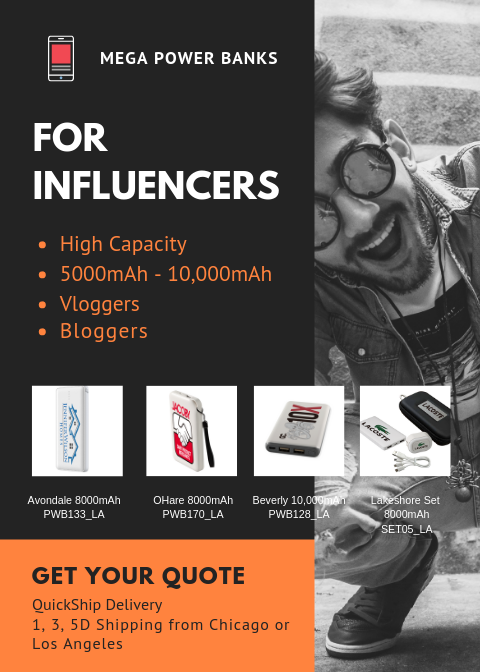 Taking 6,000-10,000mAh power banks on the road and on their daily excursions, influencers will always have your brand to remind them about who is supporting their blogging efforts. With the ability to have a large surface imprint area, your brand can create custom imagery in full color to enhance your brand and target your influencers with custom designs on the products. Influencers have to feel special treatment from the brands they are promoting. They need to feel valued and appreciated and that brands respect their work and audience. In your next influencer campaign, include mega power banks in your gift set for influencer and provide them with a product you know they will value to support their work every day. 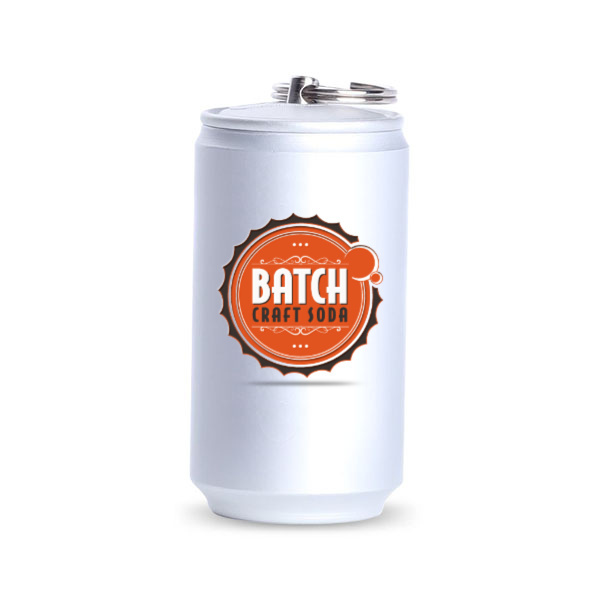 Talk about a wedding or party favor that your guests will actually use! Power Banks offers personalization for every wedding with low minimum orders so that you have the ability to order 75 or 250 pieces. With QuickShip turnaround you have the ability to have them shipped in time for the wedding day without ordering months ahead. It's not rare these days for weddings to have their own hashtag on social media for guests to post photos and videos of the bride and groom's special day. 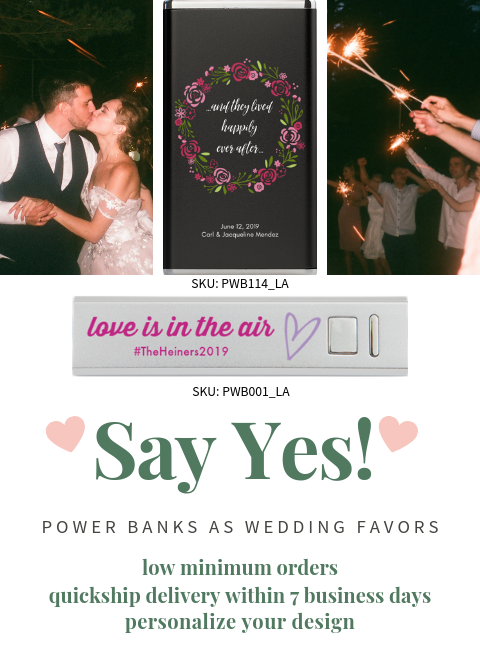 Power banks as wedding favors encourages guests to stay plugged in throughout the wedding festivities and continue to share with the world their promise to love each other for all eternity. 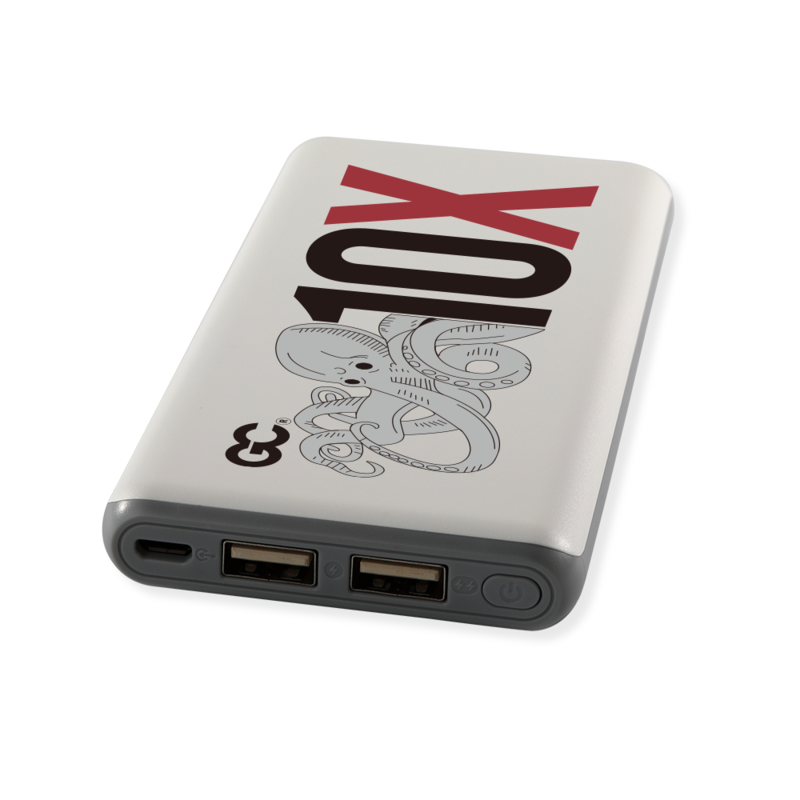 From slim power banks to cylinder styles, all colors and full color imprint options, design your custom print for your power bank wedding favors to commemorate the big day! With customer relations and acquisitions, integrating your brand into their daily activities is key to keeping your name in their minds. We've all been given products with logos, but how much do they actually work? Research from the Promotional Products Association International (PPAI) in the USA shows that 62% of people remember the name and details of a company that gave them a promotional product. This means besides your social media strategy, influencer marketing and other advertising, promotional products HAVE to be integrated into your campaigns to give it that most important extra boost and brand recognition in their everyday lives. Will They Use It Often? When picking out promotional products, this is the arguably the first question you and your team should be asking yourselves. 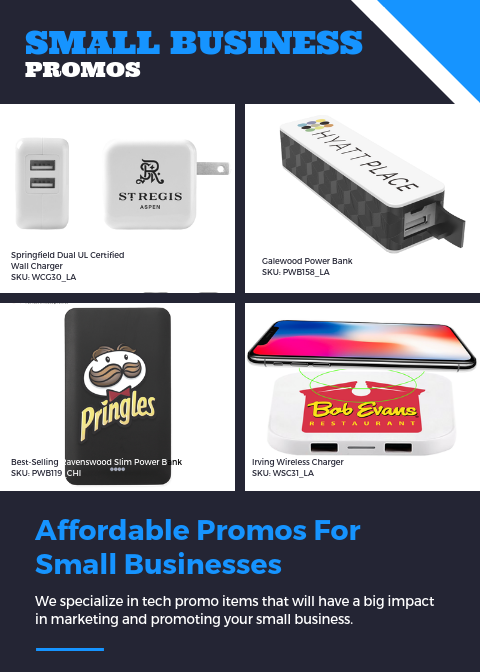 The beauty of tech promos is that they are some of the most useful promotional items as they are supporting and accessories to our most precious smart phones, tables, laptops and computers. Modern American lifestyles aren't without our electronics which are used hundreds and times per day! Enjoy Low-Cost Marketing. Promotional product marketing is cost-effective. It’s ranked as the #1 most effective form of advertising to prompt action across all generations. Businesses agree that promotional items have great ROI and are effective in helping achieve marketing goals. Plus, you have a lot of control over the money you spend on these campaigns. Love the One(s) You’re With. Let’s talk current customers. Whether you have a few or a few million, you’ve got to love the ones you’re with.The fact is, customers LOVE freebies. And not just the yet-to- be-customers you’re trying to win. The customers you already have feel appreciated when you give them thoughtful or useful items — and loyalty grows. Don't have a big budget to spend your on your business? Don't fret! We rounded up some marketing ideas and tactics that won't bust your small marketing budget. Stretch your budget and get creative! 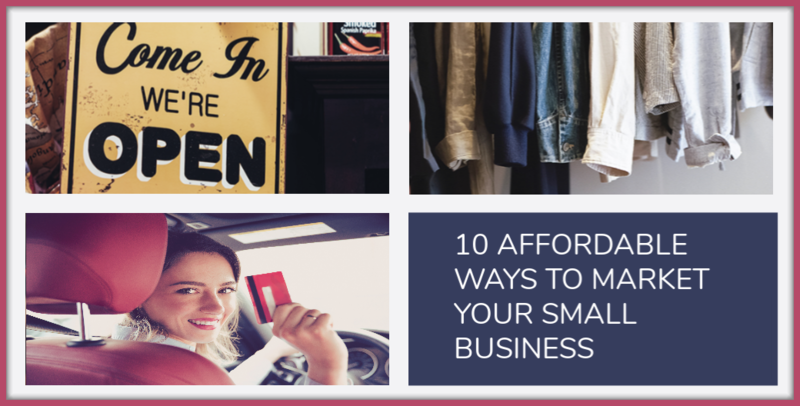 Here are 10 Affordable Ways To Market Your Small Business. 1. Utilize Content Marketing. Don't neglect the power of great content. If you can create it yourself, great! But if you're too busy handling other business or writing isn't your strong suit, get someone on your team to crank out the blog posts. Try Top 10 Lists, collections, industry news, guides, etc. Think outside of the box and have fun with it! 2. Create Videos. 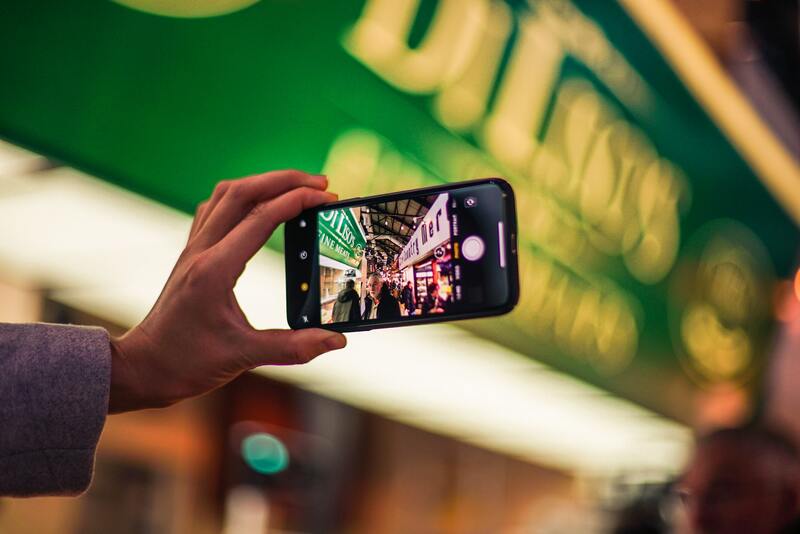 With the advancement of smart phones now as video cameras, it is so easy to create videos to engage your customers and attract new ones. Combine live videos with recorded ones and have fun with the content. Ideas to share are new product reveals, live tutorials, recorded how to's. Share them on Instgram, Facebook and YouTube and start to use the power of video to market your business. 3. Promo Items. Unlock the potential and lasting impact of promotional products for your small business. 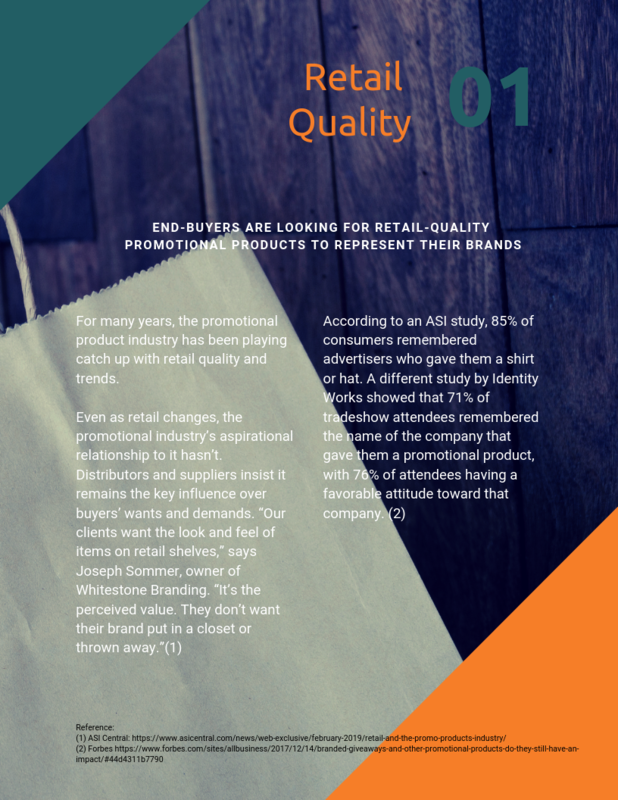 Branded giveaway items are more memorable than other forms of advertising, according to a 2017 study by the Promotional Products Association International, a nonprofit organization that represents 15,000 manufacturers and distributors of promotional products. 4. Facebook Ads. Massive advertising campaigns with big agencies may be out of your budget, but running targeted Facebook ads are inexpensive in comparison, targeted and have proven track records to increase interest to your company site and products. Create a Facebook Business page and start to use the power of social media to promote and market your small business. 5. Social Media Contests. Engage your social media following and create new interest and fresh new followers with running social media contests. Contests are upbeat, fun, exciting and draws up so much attention to your brand. Use customized tech promotional products to include in your contest prizes and giveaways to give the extra boost of premium item quality. 6. Host An Event or Workshop. Plan an event or workshop and get the community involved in your business. Host a local womens or moms group, gather entrepreneurs for networking, invite the community for a DIY class or raise money for a local charity by offering a special shopping event for the cause at your retail store. 7. Donate Raffle Items To A Local Event. Charities who are raising money often have raffle items to auction at their events. Create a gift basket of items that include branded tech promotional items and other products. Share on social media and let your community know that your business is actively supporting local charities and organizations. 8. Start A Newsletter. Newsletters are STILL one of the most powerful marketing tools and assets for your small business. The key is having great content (see #1) that is helpful to your target customers and giving them information that is relevant to them. Whether you share your newsletter once per month or once per week, the key is consistency and building a list of prospective new clients while creating loyalty with existing customers. 9. Purchase Incentives. Incentivize larger purchases by adding branded tech products that have premium retail value as a freebie when they reach a certain amount. "Receive a FREE premium bluetooth speaker with purchase of $50 or more." 10. Partner with Influencers. Influencers aren't always just Instragrammers. Think of people in your community who hold influence with your target customers. A local business person, a leader at your church, an active volunteer -- all these people hold influence in your community and have the power to refer your business to their network. Partner with them and invite them to learn more about your products and services. Buy them lunch or coffee, invite them to your retail store or office, ask them how you can help their business and partner up where it mutually benefits both of you. How are you going to market your small business in 2019?? 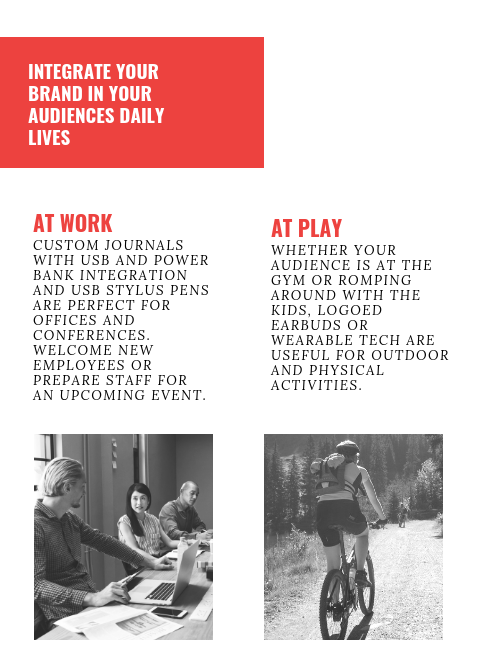 Tech products are part of our everyday lifestyle and it is no surprise that tech products is one the most sought out segments in promotional products. It's usage in our everyday life makes it the ideal promotional piece. From bluetooth speakers, to wireless chargers, USB's for the office, power banks to charge phones and tables, fit watches for your health -- the list goes on and on. Whether you're a retail brand adding your logo to a tech product for retail sales, or using it for giveaways and deals, customized tech products will help your brand target your audiences, increase brand impressions, attract new customers and continue the expansion of reach. 1) Become More Consultative: It's not always about the delivering the lowest pricing. According to Counselor Magazine, distributors who have gotten clients whose main focus was the lowest pricing are "losing that business, and that's forcing them to do something they need to be in the future: a value-added consultative seller." What does that mean?? More and more clients understand the value of high-value relationships, having an advocate partner who is actively contributing to their financial success. It's no longer just about pushing the latest, cheapest products. It's becoming more and more about offering that consultative relationship that creates longevity in your client relationships showing them that you understand their specific business. 2) Leverage Content Marketing: One of the key ways to start to show your clients that you're an advocate for their business is to leverage content marketing. Content marketing's role in your business is to create that trust and build a relationship with your clients. The content in your blog should be one or a combination of these things: educational, informative, entertaining, motivational/inspirational. Content marketing shows your clients that you understand their challenges, fears, goals and possible weaknesses and are offering solutions. It has nothing to do with outright selling your products and more about "selling" why you are the best to do business with because of your much you're offering solutions for their business. 3) Listen To Your Customers: The customer isn't always right, but the customer always deserves to be heard. Listening to your customers allows you to guide them better to make a solid decision. Many times sales people throw up so many ideas without once listening to their clients and they wonder why clients pass them up for another distributor. LISTEN. 4) Ask The Right Questions: How can you get clients to open up about their projects so that you can have key takeaways and fullfill their exact needs?? Ask the right questions. Knowing their budget and ideas is great. But try to add some piercing questions that will give you the opportunity to get ahead of your competitors and become an advocate for your clients. Who is the target market of your campaign? What is your boss hoping to achieve with this campaign? Who has your business now and why did you choose that distributor? What can we do to earn your business for another year? 5) People Value People: As much as we emphasize on automation, lowest pricing, AI technology and digital processes the value of people serving people timely, effeciently, cost-effectively with the fatest problem-solving abilities wins over clients over and over again. Clients do business with distributors they can count on to be their advocate and really go the extra mile to ensure everything runs as smooth as possible and when mistakes arise, that distributors have a sense of urgency to fix it . Clients are not disloyal to distributors only based on price -- customer service and the lack thereof is what will make clients fly out the door faster than you can say, "Discount!" 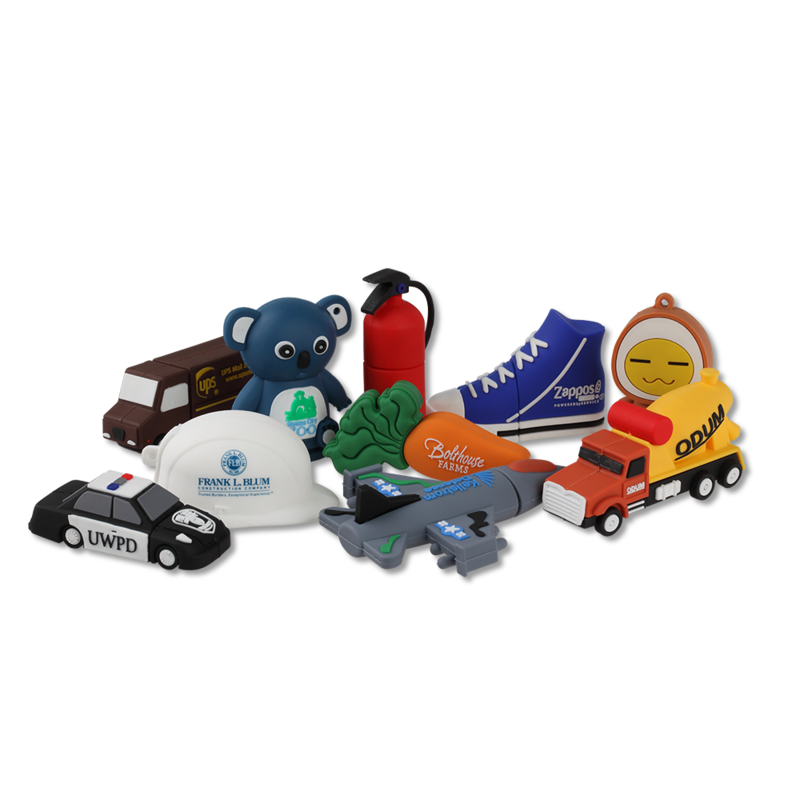 In the world of brand promotions, target marketing and promotional products -- leveraging customized items is a huge part of the how your brand becomes a recognized company in the marketplace. Whether you're offering a retail product, service or your clients are other businesses, your brand promotions matter. A strategic and well thought out campaign will give you a higher rate of impressions and engagement with your specific target audience -- your customers and those who you are wooing to become new clients. Customization is not just adding your logo to specific products. Take it a step further with fully customized SHAPES of the hottest technology products like power banks, bluetooth speakers and USB's. Why is customization so important?? Think of the cheesehead in football. What team do you automatically think of?? How about an apple with a bite missing off its right side? What tech company do you know immediately?? Those iconic images turned into actual tech promo products can make for some of the best promotional products that can turn into keepsakes, collectibles and have more value perception to be kept by the user instead of tossed in the garbage or shoved in a junk drawer. Think of your brand. What iconic image do you want your brand to be recognized with? What standout product is your brand synonymous with? Do you want to impress your audience with a customized product that has immediate visual impact? 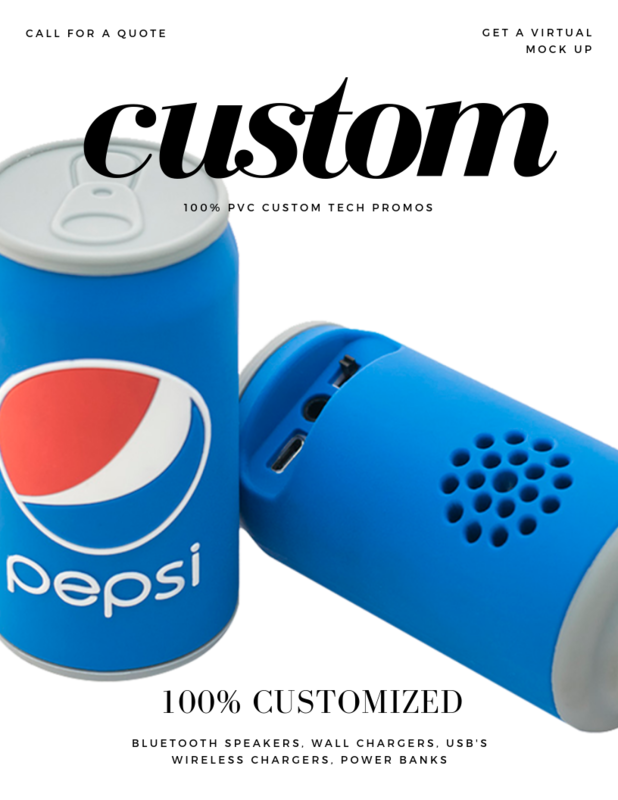 It's time to make room for customized tech promo products in your campaign plans. 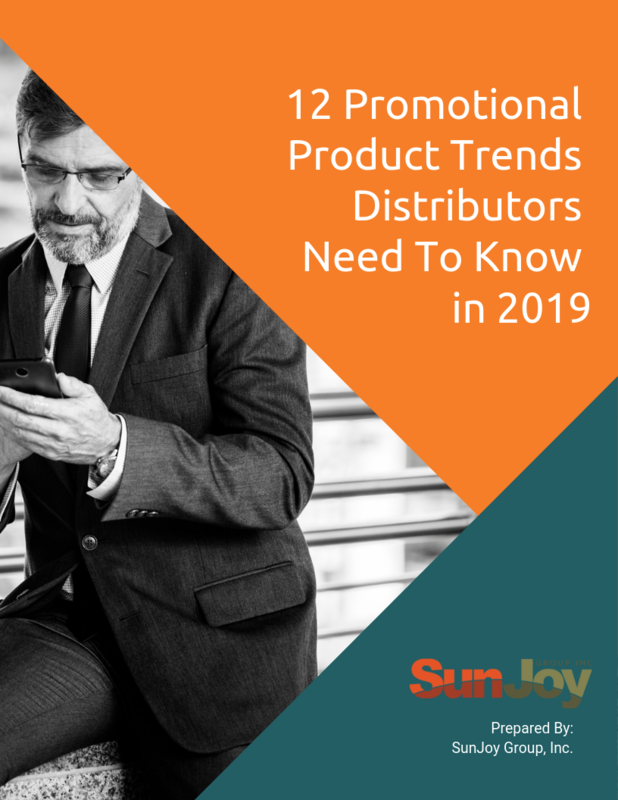 Exclusive Distributors are a growing community within SunJoy and we are so excited about the progress and evolution of this program for our distributors. Each site is dedicated to their brands with the ability for real time ecommerce shopping to give access to your clients who want to self-serve shop their tech promotional products, offer real time pricing, integrated customer service, content marketing and more. With an integrated client-friendly blog called Buyer's Intel, content marketing is delivered to you in a snap. Leverage this content for your newsletters, promote your ecommerce site and create the credibility with your clients that you have intel about what matters to them in their businesses. Content marketing helps build trust between you and your buyers. Use it as a tool to maintail loyalty, engage though and conversation with clients and as a way to market your business as an authority in promotional products distribution. The Contact Us page in your dedicated ecommerce site gives you access to your client's questions and comments about their future orders and product inquiries. This gives you continued control over your business ensuring that all your client's questions and concerns are answered and handled by your team. Your business phone number is now prominently displayed on the upper right corner of each page of the site with social media links at the footer of each page. Now is the time to pull out all the stops and make a lasting impression with your target customers. When it comes to tech promos, the more useful and long-lasting your product, the more often it will be used for an extended amount of time. That is exactly the point of premium promotional products. Mega power banks are coveted items in the retail space and it's no wonder that it is a one of the most popular tech promotional items as well. With a high capacity mega power bank, this means that your power bank promotional item will hold longer without being recharged. 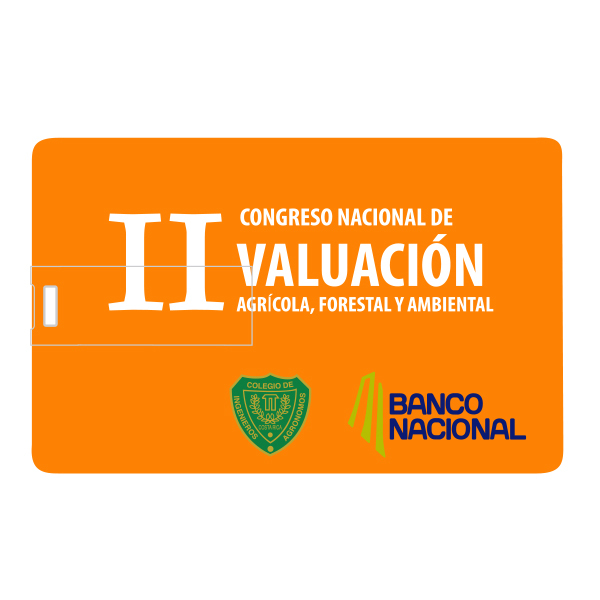 It will stay in use longer with your logo and brand art with the most visual impressions. Imagine your brand in the eyes of users everyday for at least 2 years! That's branding! For high-end premium holiday gifts here are some mega power banks you need to look at for your brand. With December on the horizon, it's time to make your brand stand out with key techniques to keep your customers engaged with your brand and attract spending dollars from new customers. 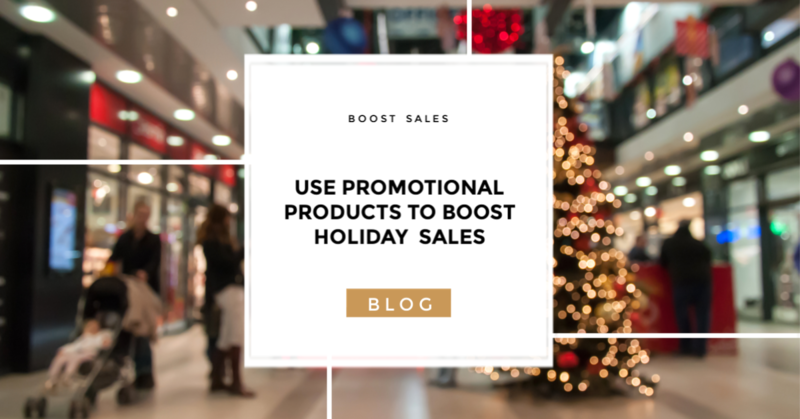 Promotional products can boost holiday sales if used properly and effectively. The first step is to use promotional products that are the most useful. Useful promotional products get the highest usage from consumers, which means that your brand and logo will be front and center in their daily activities. The power of the subconscious mind is strong and seeing your brand everyday will make an impression in the minds of consumers. Boost your holiday sales with promotional products! Pull all your best customers and clients and offer them a special gift. 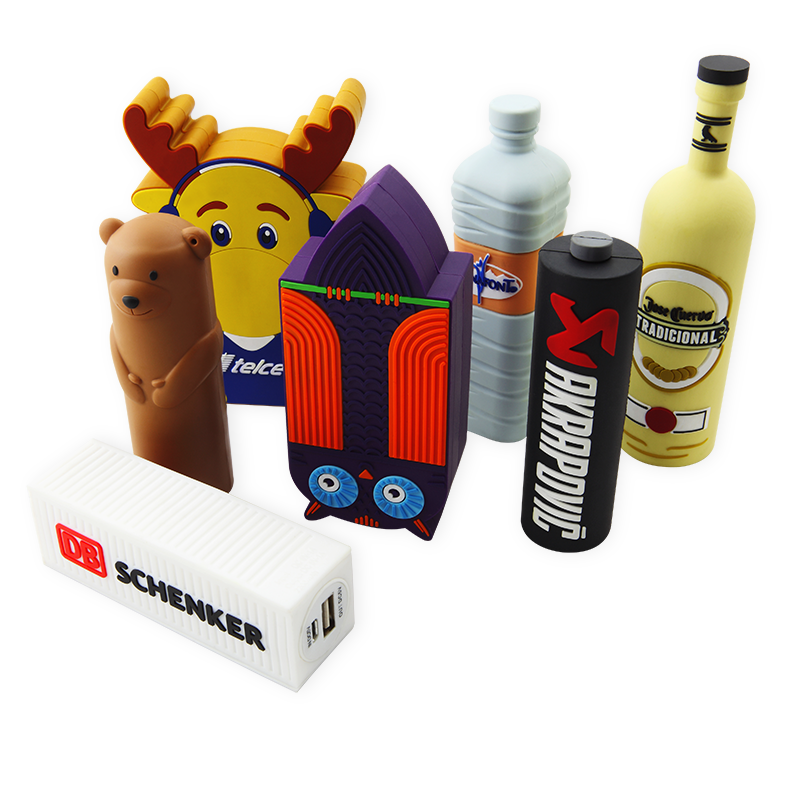 With those gifts, include promotional items that they can use outside of your products/services. Tech promotional products are the perfect way to boost your gifts with promotional power banks, promotional speakers and promotional USB's. Treat your best customers like loyalty with gift packages that include the best promotional products. Encourage your customers to spend MORE by advertising a bonus with purchase program. 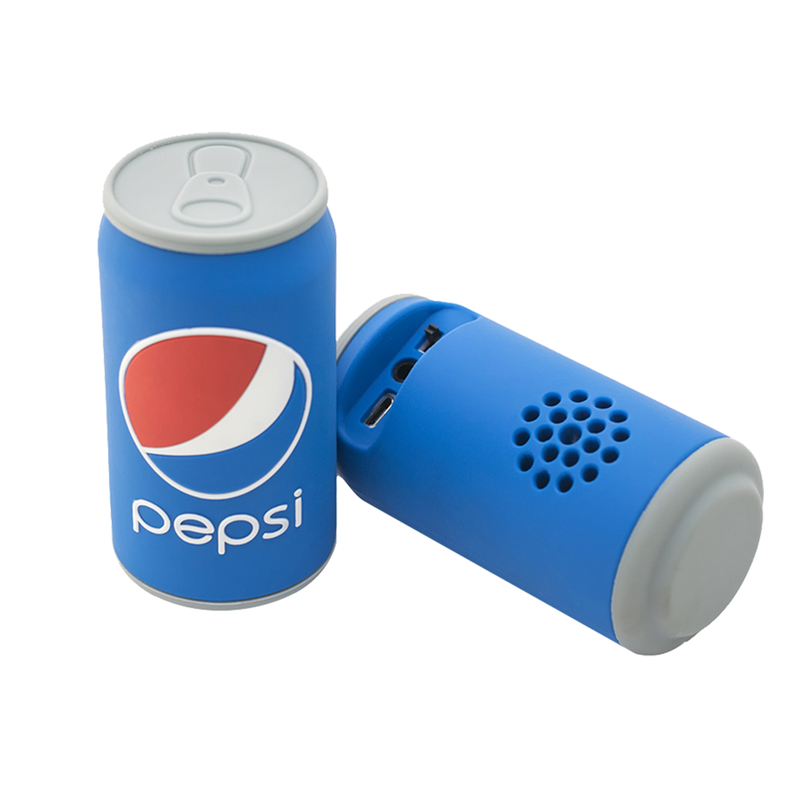 Here you can use tech promotional products as the bonus item. Technology products are highly sought-out, extremely well received and have a high-sense of product value. Use tech promotional products to boost the value of your brand and the value of spending more. 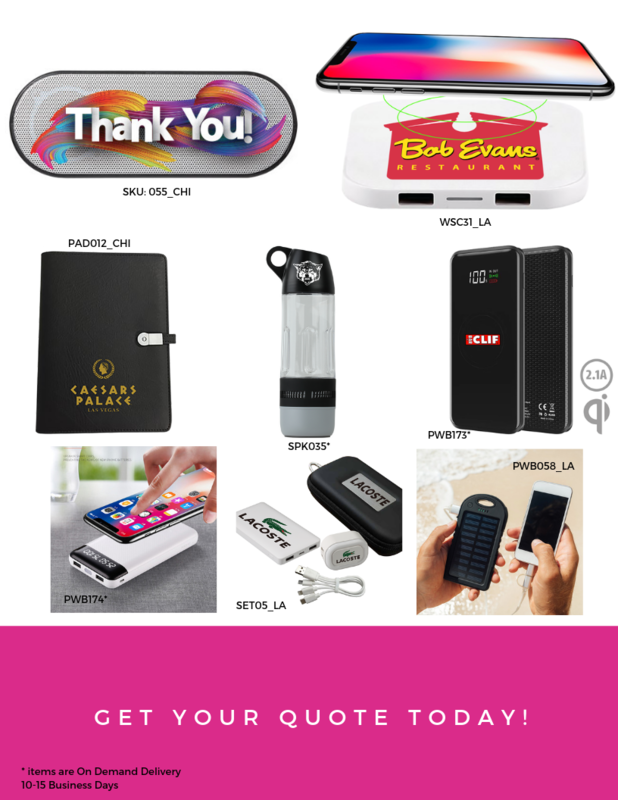 Mega power banks, eco-friendly promotional products and gift sets are great bonuses for purchase promo items! A very effective and simple way to boost your brand identity and stand out from the noise is to host a social media giveaway for a prize bundle. Engage your following and even grow it by hosting a raffle of your products that include tech promo products to support your brand. 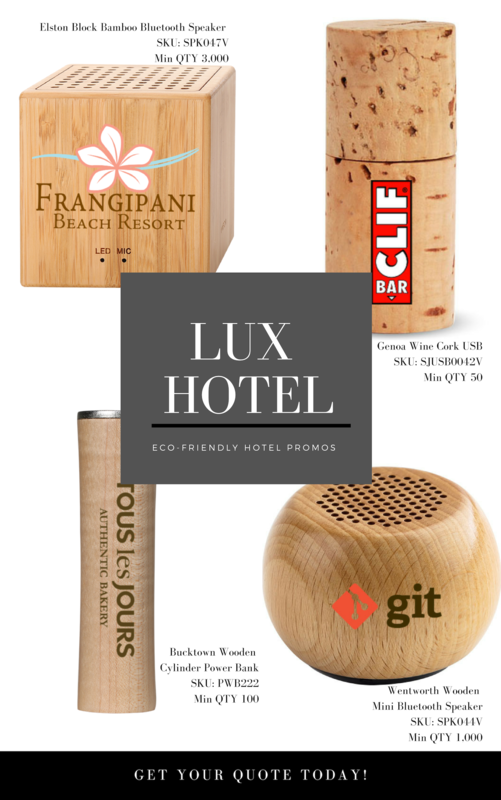 Including a premium speaker and power bank to your gift basket giveaway will surely enhance your product offerings and engage your target customer to use your branded products in their everyday living. Tech promotional products are HOT HOT HOT ITEMS in the marketplace. Use them to your advantage. Boost your brand identity and make sure your customers are seeing your brand as part of their lives and not just another product on the shelf. Gift sets allow your promotions to have much more impact than one single item as your brand is delivering multiple ways to integrate in people's everyday lives. With a power bank and wall charger that is gifted in a premium travel case, your brand will be based in homes and offices with the wall charger promo, as well as on-the-go with the power bank. 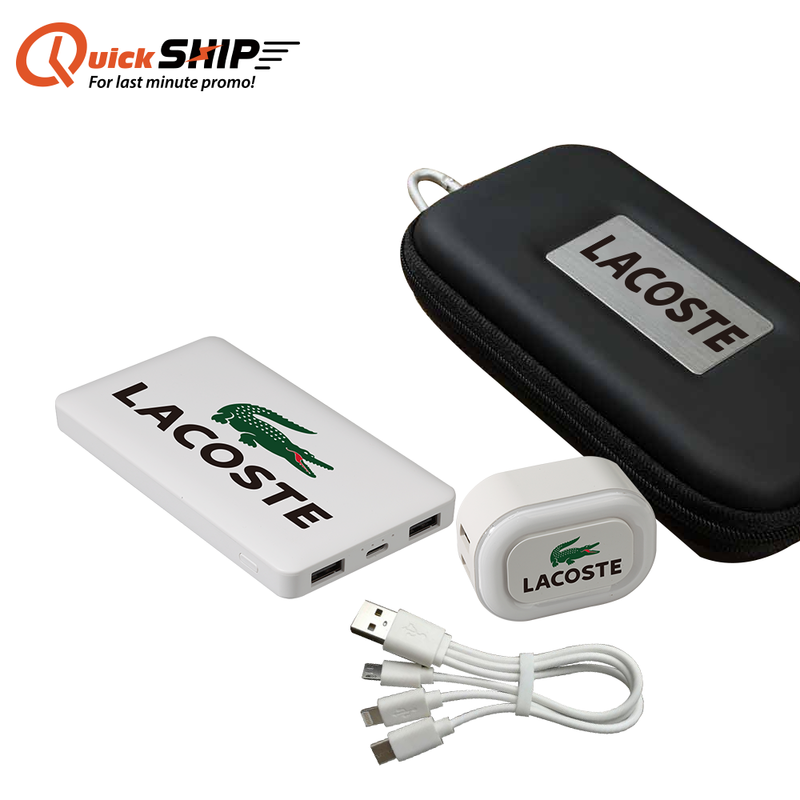 Mega power banks hold even more promotional power! With 8,000mAh, this means that your promo power bank can charge devices for longer periods before it needs to be recharged, spending more time supporting our most coveted devices. With 2 ports and USB-C input, this power bank is set to charge any device. We offer 3 different kinds of wall chargers to choose from - a premium night light wall charger, 2 port wall charger or 1 port wall charger. All gift sets come with charging cables, free one-side full UV color imprinting on the travel case, power bank and wall charger. It is a complete promo set that will have a great impact for your brand, longevity in usage for the highest impressions and branding. The healthcare industry is full of information waiting to be distributed to their patients and community. Nothing transfers loads of data, images, video content and marketing collateral better than USB’s. 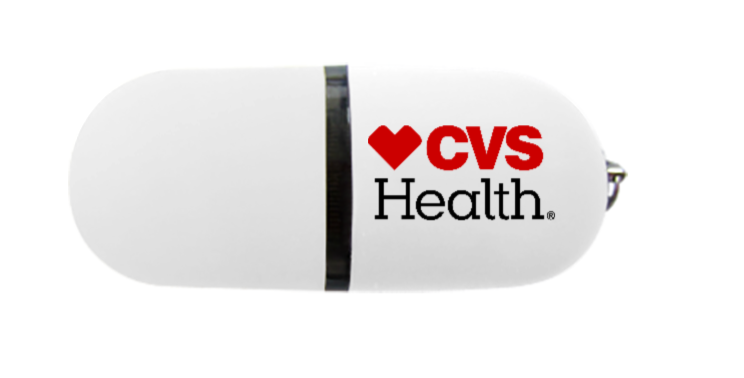 Using USB’s, the healthcare industry is able to connect with the local community, activate patient outreach, community awareness and drive support. Pamphlets get tossed in the trash, but USB’s are useful for years to come. The business of real estate is all about finding a house that your clients can turn into a home. 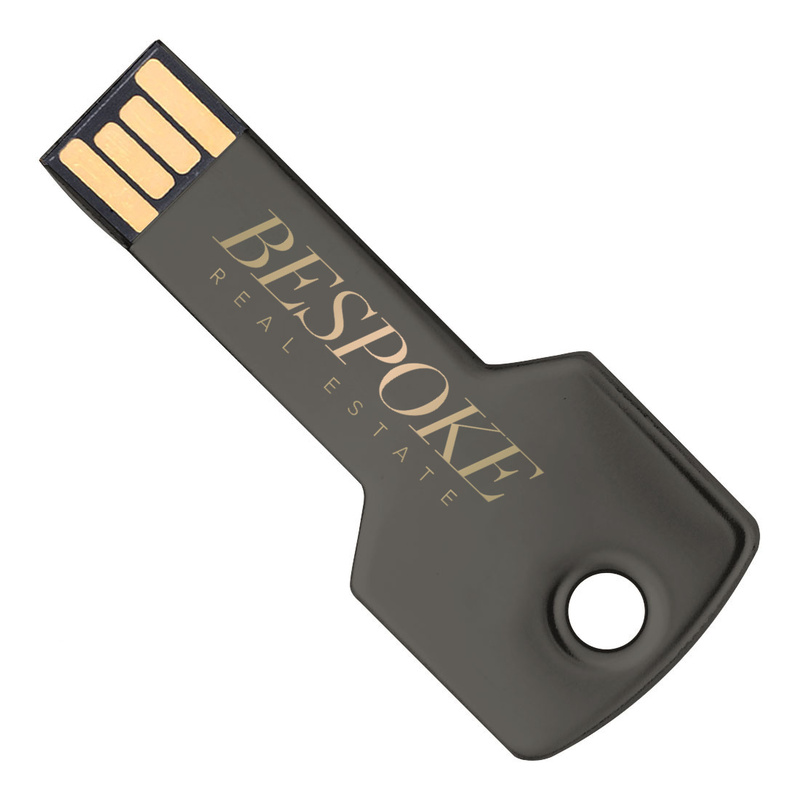 Take USB’s and use them as a way to promote your best listings on a flash drive with your logo that people will remember. Going house hunting with clients? Download all the homes you’ve chosen into a USB flash drive so that your clients can easily browse the listings at home with ease without shuffling through tons of papers. The financial industry is one of the strongest sector with banks, insurance, and investments with “finance and insurance represented 7.5 percent (or $1.45 trillion) of U.S. gross domestic product” . 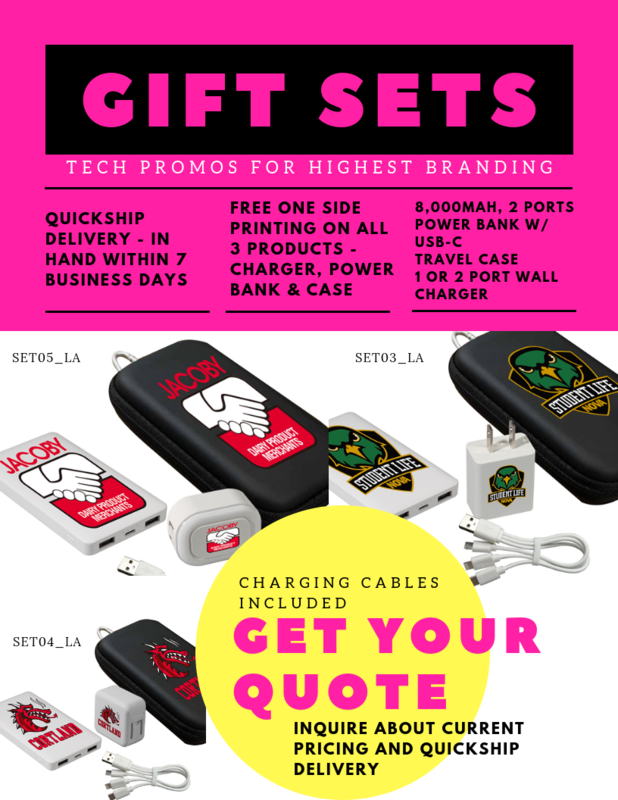 They need great promotional products and USB’s keeps their brands in the eyes of clients as a reminder that they need to be financially secure with their products and services. 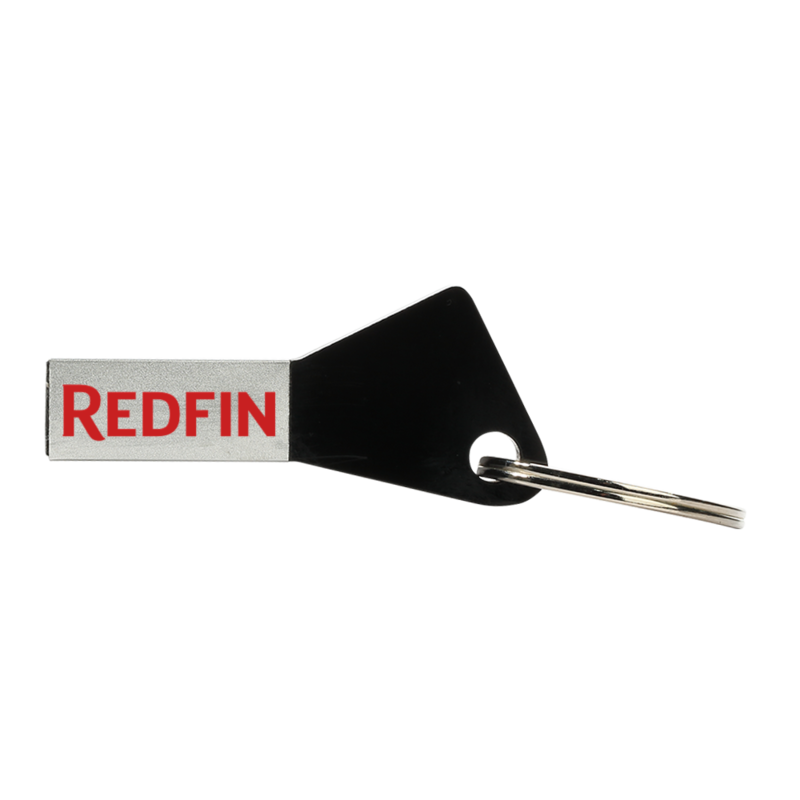 Credit card shaped USB’s are perfect for the financial industry for the obvious shape and great way to use as a business card with complete functions. The food industry in the United States represents a $1 trillion annual market, which is almost 10 percent of the U.S. Gross Domestic Product. In other words, food and beverage marketing is a gold-mine opportunity for creative marketing professionals. The F&B industry is one of the industries spending advertising dollars on influencer marketing. A recent chart by eMarketer shows just how valuable it is, with influencer marketing for CPG (consumer packaged goods) food brands realizing a whopping $14.29 in earned media value. When reaching out to influencers to share your brand’s products or restaurant’s menu, using USB’s as an added promo can share information like new menus, commercial videos, recipes, product information and so much more. 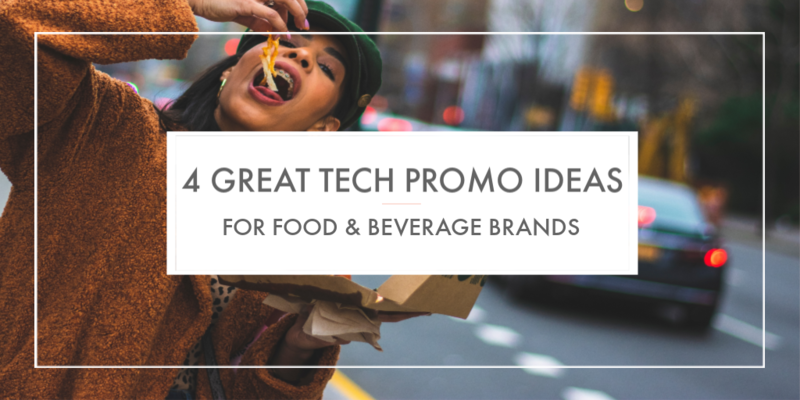 Get creative with your USB promos for your food & beverage brand. U.S. lifestyles are changing to center more around experiences and less around owning things, especially among younger consumers. More than half of millennials, for example, have taken at least one personal international trip in the past year (2017). This trend has given way to the “sport leisure” style that has become the largest category in the U.S. sneaker space. The red-hot athleisure trend has led many retailers and brands to unveil their own collections in recent years, and the term has been added to the dictionary. Now there's more evidence that it's not losing steam. Get your USB to reflect the active lifestyle that includes high-style and leisure activities. USB’s are far more creative than you might think. 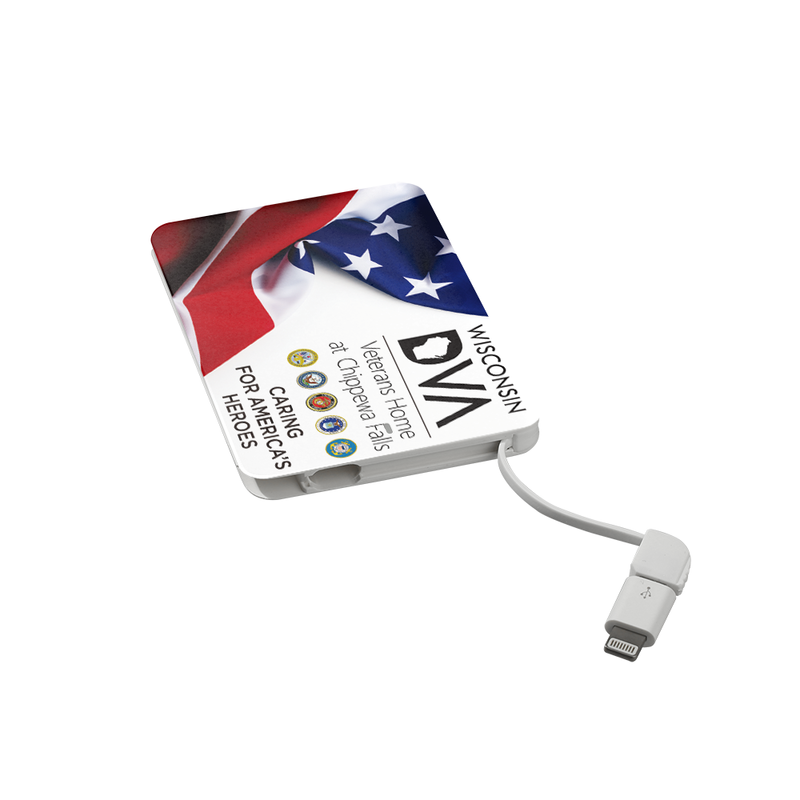 With many different shapes, any industry can find a unique USB that is customized for their specified brand and target audience. 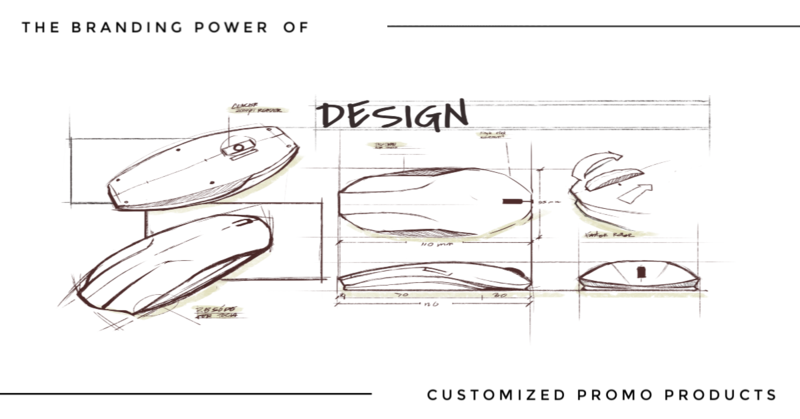 If you don’t find the USB shape and style you are looking for in our catalog, we have custom sourcing abilities to find the exact USB style you are looking for or create a 100% customized shape from your design and concept. 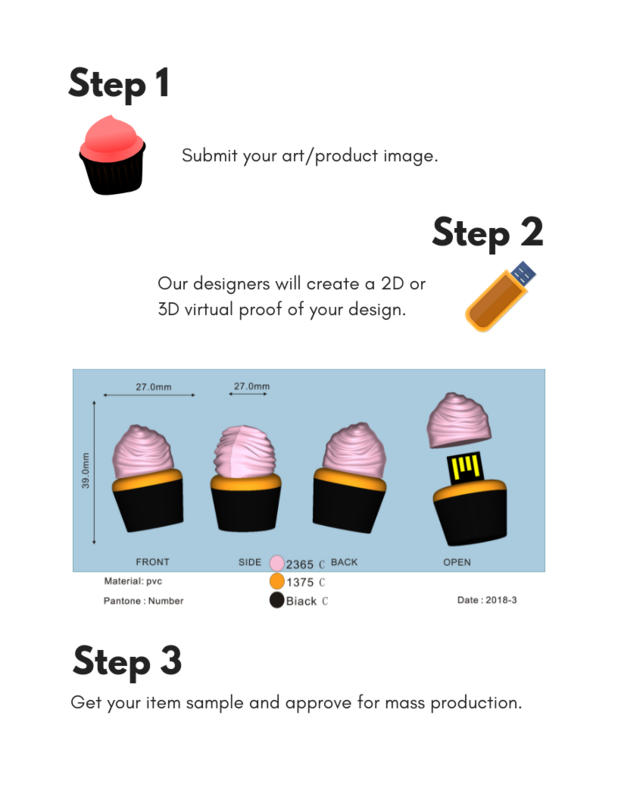 Order your FREE virtual mock ups of any USB promo to see your brand in action on your next customized promotional product.